After a successful collegiate running career, Matt Busche hopped on a bicycle and stunned the cycling world in 2009 by rising from a Wisconsin-based amateur team to Lance Armstrong's Team RadioShack in one season. Despite this amazing Cinderella story, it's very rare for an athlete to become a professional cyclist without being groomed into one since adolescence. But even if you're not going to be a top international competitor, the life of an amateur competitive cyclist in America can still be very exciting and rewarding. For those of you youngsters out there with big dreams and fast legs—or parents of an aspiring champion—the most reputable organization for grooming youth cyclists is the USA Cycling Development program. Jim Miller, V.P. of Athletics at USA Cycling, coached Kristin Armstrong during her 2008 Olympic run to the TT gold medal, and oversees the USA Cycling National Development Program, whose goal is building the next generation of American professional cyclists. The NDP starts looking at kids as young as 13 and 14 years old in regional development programs across the country, as well as some cycling camps. If the kids look promising, they'll be invited to the NDP's race camp in Belgium for 15- and 16-year-olds. More: Do You Need a Cycling Coach? "At that point," Miller says, "We'll find some mature young kids that have already produced, as well as some young skinny kids that haven't matured yet but still have a motor." 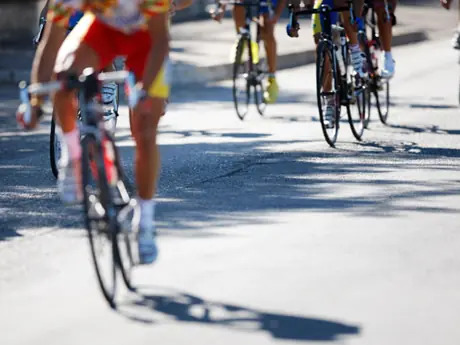 One way they measure a rider's potential is by "estimated power wattage," which uses a formula of knowns and givens to estimate riders' potential power output. This is only estimation, not a direct measurement, but Miller believes that it's "an effective way to get some baseline numbers on kids." If riders are still involved in the program by age 17 and 18, the training gets much more aggressive. They narrow the group down to 40 kids, Miller explains, and "they race 100 days a year in Europe, where they learn the roads they're going to be racing as a professional, and European racing techniques, which are drastically different." More: Do I Need a USA Cycling Racing License? By the time these kids are on the under-23 team, it's significantly harder to stay in the group. Riders should know how to race a bike at this point and start learning pro tactics. It's a very intense experience to go through this program and Miller admits, "It takes a good seven years to develop a rider into a pro tour rider."